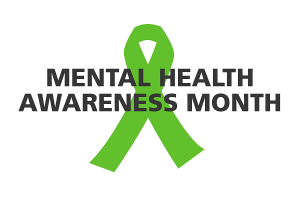 As we continue to honor the month of May as National Mental Health Awareness month this week’s blog is about bipolar disorders. Many people use the term bipolar to lightly describe friends or colleagues that seem to have a lot of mood swings or appear rather unpredictable. However, bipolar disorder is a very serious mental illness that affects 5.7 million American adults each year. It is one of the most heritable of disorders with tremendous emotional, social and financial consequences to the individual and their loved ones. Individuals with bipolar disorder are at 15 times greater risk for suicide than the general population. Actually, doctors now diagnose bipolar I disorder and bipolar II disorder. A bipolar I disorder is characterized by the occurrence of one or more manic episodes. The individual may also have episodes of hypomania or major depression. But interestingly, to make the diagnosis of bipolar I, a depressive episode is not necessary. A bipolar II disorder is diagnosed after one or more major depressive episodes accompanied by at least one hypomanic episode. Symptoms of mania include a distinct period of abnormally and persistently elevated, expansive or irritable mood lasting at least one week. The person may seem grandiose, have little need for sleep, seem very, very talkative, have racing thoughts, seem very agitated, be hypersexual, engage in excessive and dangerous behaviors and even become psychotic. Initially, as the person becomes manic, they may feel very good. They enjoy the increased energy and don’t want anyone or anything, including medication, to slow them down. Symptoms of hypomania are similar to mania but never reach the same severity or duration. They must be present for at least 4 days but not greatly interfere with the persons social or occupational functioning. Individuals with hypomania are often described as a bit “too much” in their behavior. Some patients cycle back and forth on a very rapid basis…even several times per day. But most patients have longer periods such as weeks or months within the cycle. Episodes can be triggered by life events or may seem to come out of the blue. Lack of sleep, childbirth and the accompanying hormone changes as well as other serious life events are types of triggers. The good news is we have excellent treatment for bipolar disorder. Mood stabilizers such as lithium, Depakote and Lamictal are important medications used in treatment of bipolar disease. However, medication, alone, is not adequate. It is very important that patients and their families learn about the course of the disease. They need to learn ways to maintain general health, be proactive in their care and work collaboratively with their treatment providers to develop an individualized treatment plan. Because individuals with bipolar disorder often have symptoms of other mental health issues such as anxiety, substance use and abuse and even attention deficit disorders, medications must be carefully monitored. If you would like to learn more about how an amazing woman and psychologist has dealt with her own diagnosis of bipolar disorder, I recommend you read An Unquiet Mind, by Dr. Kay Redfield Jamison. Her story is one of tremendous courage and hope. And if you think you may be experiencing symptoms of a bipolar disorder, please talk with a psychologist or other health care provider trained to treat this illness. Note: Division 42 members, please consider using any of these blog post as a model to write a blog for your own website or share as public education materials.